Athletes often train too frequently, too long and too intensely. That inevitably leads to overtraining, burnout, illness and injury. Over the last 30 years I’ve helped many athletes get out of the rut they’ve dug for themselves by teaching them to train moderately and consistently. This is the key to success in sport. If your race performance is spotty and you are unable to perform to your potential at A-priority events then excessive and inconsistent training may be the cause. In fact, I've found this to usually be the reason. If you are frequently tired when it's time to do a quality session then it certainly is the cause. In this case you must learn to harness and direct your desire to succeed. How can you do that? It starts with training moderation. Moderation in training means that you seldom explore your physical limits. Too many athletes try to do the hardest workouts they are capable of frequently. Long workouts are much too long and intensity is often too high. Most seem to believe that peak fitness comes from finding their limits several times each week and rest is viewed as something for sissies. That way of thinking is a sure way to derail your training. Moderation when it comes to workout duration and absolute intensity is what you should be seeking. Moderation is a moving target. As your fitness improves what a few weeks ago would have been a hard workout becomes moderate. So within the same season the level of moderation rises. The same sort of thing is going on from season to season. If you are training properly your capacity to handle a given training load increases over the long term. What was a hard workout last year is moderate this year. Consistency results from moderation. Consistent training means you don’t miss workouts – ever. Missed workouts are the result of too much: too much intensity, too much duration, too much working out and too much stuff in your life. If you train (and live) moderately you will be consistent. If you are consistent you will race faster. It’s not how hard the workouts are. It’s how consistently you do them. A couple of weeks after I start coaching an athlete I ask if the training is harder or easier than it was when the athlete was self-coached. The answer is usually that it’s easier. I almost always have the athletes do less than they did before, and guess what – they become more fit and faster. I focus our attention on their weaknesses that must be improved for success in the next A-priority race. You’ll recall from my Training Bible books that these race-specific weaknesses are called 'limiters.' If you want to improve as an athlete you must know your limiters and then train moderately and consistently with your focus primarily on them. That, in a nutshell, is the key to success. You should checkout a book by Darren Hardy called the Compound Effect. It talks about applying this same concept to your overall life. Small actions over time compund to larger results. I didn't realize till now that was the same idea when it comes to tri training. Thanks for the key insight. I can tell you the mentality that really takes away from these concepts is that doing only a small amount is going to take forever. While it may take awhile you will be successfull because you can stay the course. I continually find it amazing that the best advice in life almost always takes on a zen-like quality. Consistency over time provides great results. Mathmatically, I think it is called 'compound interest'. Seems like the same principle. Joe - I enjoy your blog. Please keep up the good work. Never seem to hear about you coming to Edmonton, Alberta Canada though. Depending on the time of year, triathlon up here includes skating and cross country skiing! I couldn't agree more with your post and I often tell team mates (Masters athletes) that they could be doing a bit too much. It hasn't been that long when I had the more is better approach and ended up having to take four months off the bike. Last year, in preparation for my biggest challenge, I concentrated on recovery, nutrition and approached my training with moderation and consistency (based on your Training Bible programs). Great post, Joe. I often find myself frustrated by Thursday that I'm off target for my weekly hours and calculating what I need to do on Fri, Sat & Sun to reach my goal. What I need to do is ask myself if my training sessions are addressing my limiters and other areas most impactful to race performance. Thanks for bringing the big picture back into focus. I totally relate with Matt B's comment. For me, as a self-coached, newbie athlete, the key challenge is how to actually control this desire to train more and more. How to convince myself to refrain from putting more load than initially planned? I started my Prep and Base1 period on the conservative side, as prescribed in Joe's book. Each week i'm improving significantly and on the other hand I have this feeling of not pushing myself too hard. And that's the dangerous situation cause you immediately start thinking - train more, improve even further. In my situation what is really helping me to "resist the impulse", is on the one hand having clearly defined long term goals and training objectives and knowing exactly what the penalty is for training too hard, on the other, as one of my knees get injured very easily. I came to this sport to achieve my long term goal, which is successfully finishing ironman. 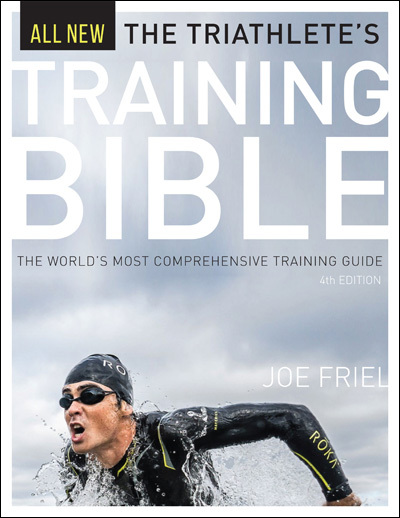 Thanks to Tri Bible, I understood that, it would take me a couple of years before being ready for that challenge. I also need consistent and uninterrupted (by injuries) training. Whenever I feel that urge to do additional workout, I ask myself whom I want to be in a couple of years. 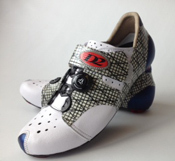 An IronMan who enjoys being fit and healthy, thanks to training without an injury? or frustrated coach potato that didn't have enough patience to make his dream come true? I'm still quite young and generally very impatient but amazingly when I visualize both options, it always works! 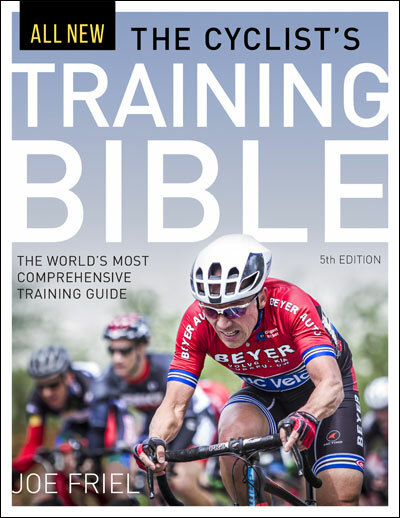 Moreover, I found that the SCIENCE of training is to be found in external sources, like "Tri training bible" but the ART of training can be mastered only by me, based on the understanding of my specific situation. I believe finding the right balance between the training load and recovery is the very art of training. This makes planning so exciting and gives me additional motivation to moderate myself. Thank You Joe, because only after reading you book I realized, that becoming a great athlete is a very intellectual task in fact. Mr. A--All very good points. I like your way of thinking about training consistency. I'd be interested to learn how you can apply this advice when selecting a reasonable CTL ramp rate. When I started by fall build up for 'cross, I swore I'd keep the ramp rate around 3pts. But it was almost impossible to complete the workouts prescribed by my coach while keeping TSS within the correct range. Instead, I was hitting ramps rates of 4,4.1,4.6, and, gasp, 6.8. The interesting thing is that you'll inevitably fall back. This week, I couldn't manage a ramp of more than .5pts, but this was fine with me. I needed the rest. How to do view CTL ramp rates? Do you look at the 4 week average including the rest week? Do you have it settle down to a reasonable number after the rest week, or just keep it consistent, and dip slightly if rest is in order? John--I treat it as an individual and unique metric that takes some time to learn. It also depends on what time of the season it is, how training has been going, how long until the next A race and probably a few other variables that escape me right now.